Champaign, IL, July 28, 2011—The European Union awarded the University of Illinois’ European Union Center (http://www.euc.illinois.edu) two prestigious grants: the EU Center of Excellence research and teaching grant, and the Jean Monnet Module for course development. 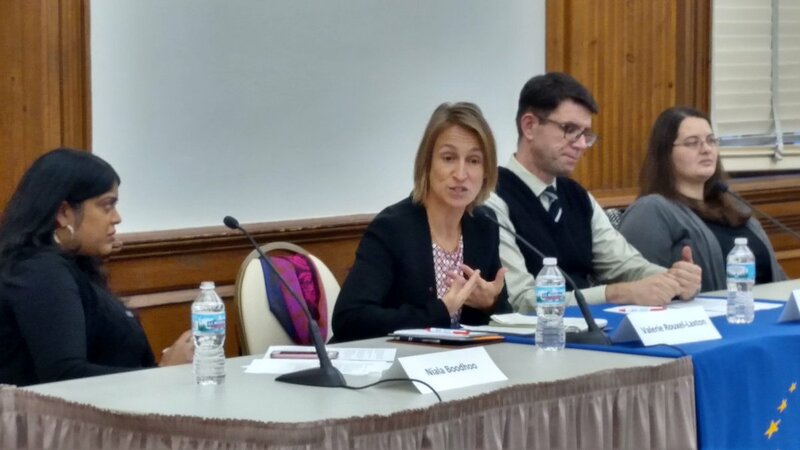 Led by A. Bryan Endres, Matt Rosenstein and Sebnem Ozkan, the EU Center organized an interdisciplinary network of University of Illinois faculty and research centers to expand research, outreach and course development related to EU Studies across the UI campus. 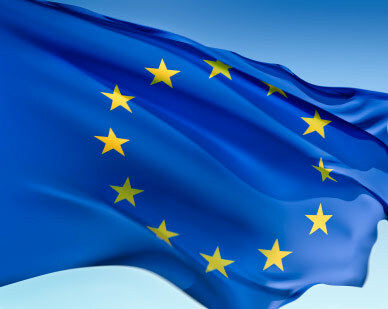 Every three years, the Delegation of the European Union to the United States holds an open competition in which universities compete for a financial award intended to enhance European Union studies. 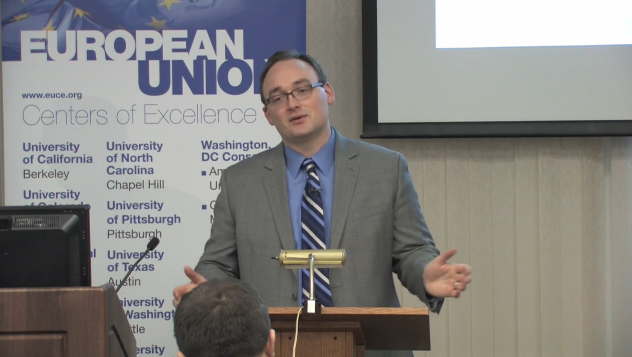 Centers must demonstrate high quality teaching, research, and regional outreach programs on EU and EU-U.S. topics, and propose novel and ambitious enhancements to existing programs. For the 2011-2014 award period, the EU Center at UI will use the 300,000 euro (approximately $430,000) grant to build on its already substantial profile by developing research and teaching initiatives in three thematic areas. “Adapting Policy to Environmental Challenges,” led by George Czapar (Director, Center for Watershed Science at the Illinois State Water Survey), and supported by professors Harry Dankowicz (Mechanical Science and Engineering), John Abelson (Materials Science and Engineering), Julie Cidell (Geography), and David Bullock (Agricultural and Consumer Economics), approaches environmental policy challenges from a variety of perspectives. “Embracing Change: Languages, Cultures and Identities,” led by Anna Stenport (Assistant Professor, Germanic Languages and Literatures), seeks to understand educational, linguistic, and cultural issues of the EU through the lens of the new member states of the east, the Mediterranean region (including Turkey and North Africa), and the Nordic and Baltic regions. Assisting Stenport will be professors Richard Tempest (Russian, East European, and Eurasian Center), Nancy Benson (Journalism), Yasemin Yildiz (Germanic Languages and Literature), and Elizabeth Lowe (Director, Center for Translation Studies). Finally, “The Practice of Politics and Policy in the EU,” led by William Bernhard (Professor, Political Science), and supported by professors Richard Tempest, Konstantinos Kourtikakis (Political Science), John Dencker (Labor and Employment Relations), and Ruth Aguilera (Business Administration), explores the nuances of politics, policy and the business environment within the context of the evolving EU. 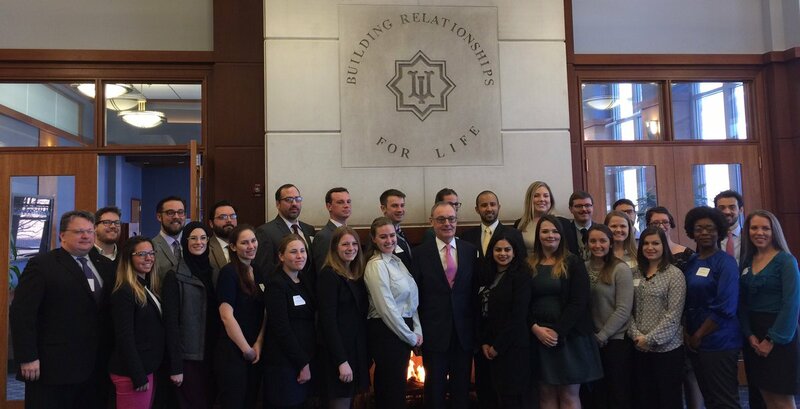 In a global competition, the EU Center at UI was one of only two US universities to receive a Jean Monnet grant from the European Commission, and the only domestic university to garner a European Module award. The Jean Monnet Programme is part of the European Union’s Lifelong Learning Programme and aims to stimulate teaching, research and reflection on European integration in higher education institutions worldwide. 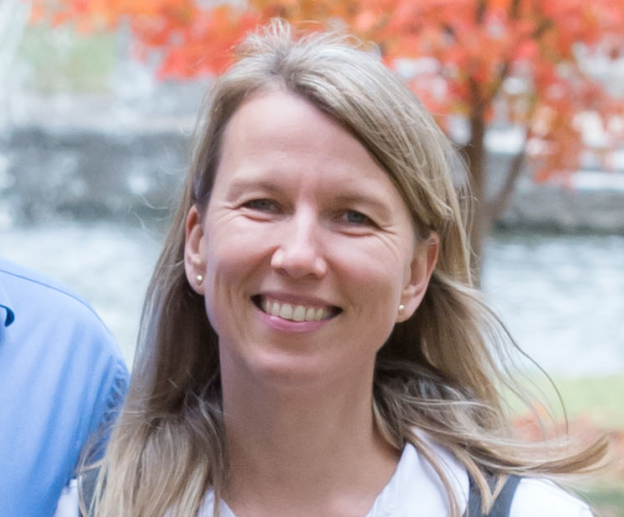 The 21,000 euro (approximately $30,000) award will fund a new project hosted by the European Union Center and led by Professor Maria Todorova (History), entitled, “Europe and the Mediterranean: Transnational Spaces and Integration.” Interdisciplinary in nature, the project features a new, team-taught course aimed at advanced undergraduate and graduate students, which will present the cultural, economic, and migratory networks linking Europe and the Mediterranean region as interdependent spaces. The project is expected to reach broader audiences as well, by hosting a public website and posting webcasts of lectures, which will be accessible to lifelong learners and secondary school teachers globally. The project will be coordinated by A. Bryan Endres (Director, European Union Center and Associate Professor of Agricultural Law) and will be carried out by a diverse team of three faculty members, who will alternate as lead instructors of the course. Emanuel Rota, Assistant Professor of Spanish, Italian, and Portuguese, will lend his expertise in the history of Europeanist movements. Konstantinos Kourtikakis, Visiting Lecturer, Political Science, brings his extensive knowledge of EU administrative networks. Hadi Esfahani, Professor of Economics, comes to the project as an expert on Middle East and North African economic and business development and the role of politics and governance in fiscal, trade, and regulatory policy formation. In addition to the course, the project will facilitate a lecture series on Europe and the Mediterranean; sessions on Europe and the Mediterranean at the Center’s annual Working Conference for Regional College Faculty; and a Summer Curriculum Development Workshop entitled “The Timeless Mediterranean and the New EU: Transnational Spaces and Integration.” A link to the project’s public website, and more information about these events, will be provided on the EU Center website (http://www.euc.illinois.edu). 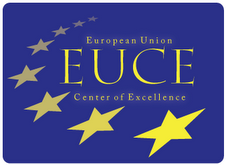 The EU Center was recently awarded a Focal Point Grant from the University of Illinois Graduate College for the proposed project entitled “Engaging the European Union: Institutions, Networks, and Policies in Transatlantic Relations.” This project will include a lecture-style course, featuring U of I faculty and visiting EU scholars, during the fall semester and the First Annual EU Center Graduate Student Conference in the spring. The project faculty organizers are Bryan Endres, EUC Director, and Bob Pahre, former EUC Director. Student organizers are Alex Balas, Richelle Bernazzoli, and Reneé Holley. Since 2009, the Graduate College has been soliciting collaborative projects from University of Illinois graduate students and faculty. These initiatives provide support for new courses and research tracts, adding to the cultivation and diversification of pedagogical techniques and scholarly practices in graduate education. Kostas Kourtikakis, a political scientist and UIUC visiting lecturer, discusses the causes and effects of Greece's debt crisis. He also talks about possible future defaults in other eurozone nations and urges Americans to take note of Europe's complex financial system. The full interview is posted below, or you can read it here. Protesters clashed with police in the streets of Athens during the last week of June as the Greek Parliament debated and then passed a set of deeply unpopular austerity measures required for the nation to receive aid and avoid defaulting on its debt. What brought on the crises, and how much does it threaten the 27-nation European Union and the world economy? Political scientist Kostas Kourtikakis, a native of Greece and visiting lecturer at the University of Illinois, is an expert on the EU and its institutions, as well as on the politics of Greece and the region. Kourtikakis [pronounced kor-tee-KAH-kihs] was interviewed by News Bureau social sciences editor Craig Chamberlain. How did Greece get in this economic mess? After Greece adopted the euro in 2002, successive governments were unable – many say unwilling – to implement economic reforms, which were necessary for the Greek economy to become competitive. At the same time, their membership in the eurozone (the 17 EU nations using the euro currency) allowed Greece to borrow money with a super low interest rate. The result was a budget with too many expenses and not enough revenue. Then, after markets took notice of the Greek debt problem in October 2009 and the fear of default emerged, other eurozone members, especially France and Germany, did not act swiftly enough to contain the crisis. Why have Greek citizens reacted so angrily to the austerity program now approved by their government? When the first austerity measures were introduced in 2010, Greeks accepted them as necessary for avoiding default. In my opinion, two things have happened since then that have caused anger. First, there is a widespread perception in the middle and working classes that they are disproportionately burdened with austerity, because they are easier targets for tax hikes and benefit cuts. At the same time, rich elites, which for many years have engaged in rampant tax evasion, remain untouched by the measures. The second and more serious reason is that trust between citizens and political elites – the foundation of representative democracy – seems to have seriously eroded. Greek citizens have always suspected that some of their elected representatives were corrupt and untrustworthy, but the crisis has led to a blanket assessment that all politicians are basically liars. Despite all this, most demonstrators were in fact peaceful. Some of the most severe incidents we saw on TV were caused by a minority of extremist youths, a long-time tradition in Greek demonstrations. The recent measures taken by the Greek government are only the latest news in an ongoing series of debt troubles in various EU countries. Are they all in trouble for the same reasons? Currently only three eurozone countries have received bailouts: Greece, Ireland and Portugal. Each one got into trouble for a different reason. In Greece the main problem was excessive government borrowing, while in Ireland the problem was originally caused by overexposure of the banking sector. Regardless of the reason these countries got into trouble, however, they all face the same problem: Investors are very reluctant to lend them money because they don’t think they will get it back. We could say that these countries have a credibility problem. The purpose of the austerity measures is to restore credibility, so that Greece, Ireland and Portugal can borrow money in the open market again. Many experts however have doubts that the measures will produce the desired outcome and prevent default. Can the EU afford to give other nations the same monetary support, or is there a breaking point? Many analysts agree that Spain is the breaking point. Spain is the fourth largest economy in the eurozone and, many fear, the next in line for a bailout. It will be extremely difficult but still possible to secure funds and even political support for a Spanish rescue. The next domino to fall after Spain would be Italy, and there is an emerging consensus that the funds for a bailout of the eurozone’s third largest economy can’t be secured. Who would be the ultimate losers if Greece defaults on its debt? The potential losers from a default, which many experts see as inevitable, would depend on how it plays out. In the worst-case scenario, the crisis would spread to the entire eurozone and beyond. This could have catastrophic effects for the global economy, including the U.S. In the ensuing panic, lenders would consider all government debt as “toxic” and would refuse to finance it. As a result, many governments – prudent and profligate alike – would start defaulting on their debt. In this case, a Greek default would resemble the collapse of Lehman Brothers in 2008, which had a knock-on effect for the international banking system. Optimists, however, expect that the effects of a Greek default can be limited to Greece. Whether one of the two scenarios, or something in between, will materialize in the future depends on how eurozone governments handle the crisis now. 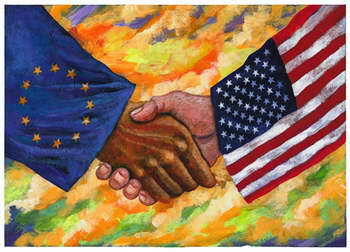 You’ve found that Americans have trouble understanding the importance of the EU and how it works. What can we learn from these ongoing crises? What Americans, and indeed anybody, can understand from the European sovereign debt crisis is that after 60 years of integration European economies are so tightly intertwined that they may rise and fall together. 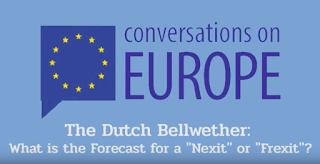 Europe remains a continent of nation-states but the common institutions and policies of the EU is a very important variable that we need to keep in mind when we try to understand political and economic developments in Europe.